MAUD is seeking a talented Architect or Experienced Graduate with 5-10 years post grad experience to join our growing practice. We are a small team and operate in a collaborative and energetic environment. We are focused on delivering quality outcomes and experiences for our clients. Our current architectural work includes bespoke residential and commercial projects, so you will need to be familiar with the type of documentation required for consent and construction in these areas - some New Zealand experience is a pre-requisite. You will be passionate about design and enjoy working on all stages of the architectural process. You’ll be experienced in detailed documentation, have a strong attention to detail and be proficient in ArchiCAD and Adobe Suite software. Good communication and problem solving skills are a must! 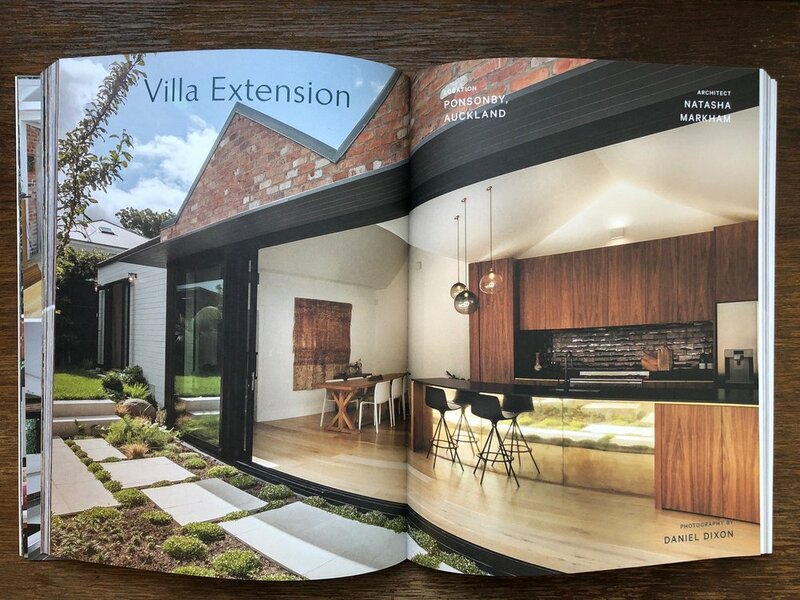 The Twin Peaks house has been published in a book about NZ homes that have used recycled materials in their making. Repurposed by Catherine Foster (author of Small House Living) hit the bookstores this month and features “an inspiring array of homes that have made good use of recycled and upcycled materials, structures, spaces and furnishings”. 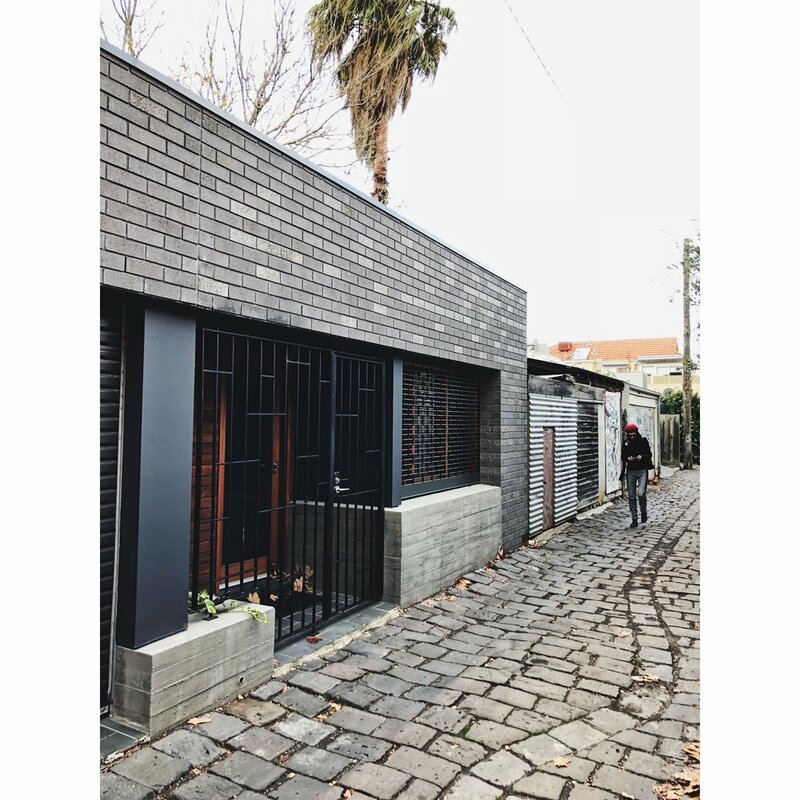 Our Twin Peaks project (a villa renovation in Ponsonby) reuses the beautiful Arch Hill bricks that originally formed the chimney to clad the new addition at the rear of the home. It’s possibly been the biggest and boldest Festival of Architecture to date with events taking place all over the country. The list of exhibitions, talks and gatherings in Auckland alone was staggering and well attended by the profession and public alike. Natasha hosted guest speaker Allison Arieff on a walking tour of the CBD/ Wynyard on Monday morning ahead of her talk that evening. Natasha also attended the A+W speed mentoring event on Tuesday and we finished the week by opening the doors to the studio as part of Opensource. 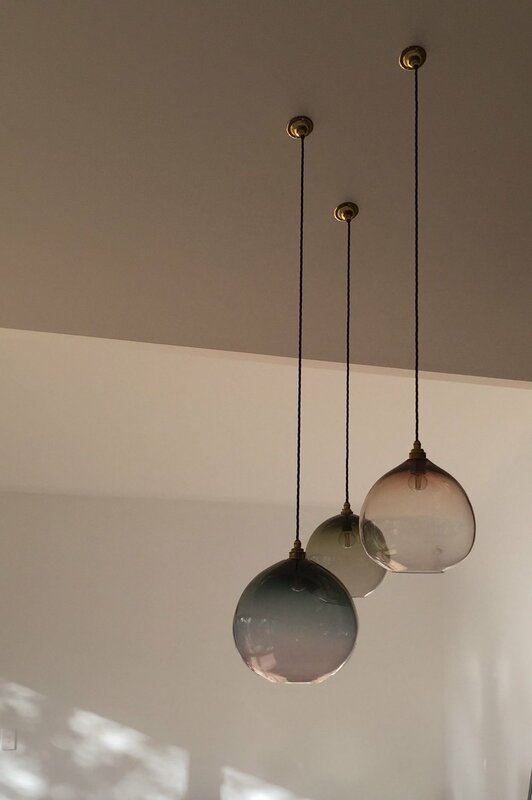 We’re excited to see our work place fit-out for tech clients at the Green Room nearing completion. Here’s a few photos of the cabinetry being installed. Natasha talks architecture, urban design and podcasts with Amelia Melbourne-Hayward over on Architecture Now. On March 22nd, Natasha moderated the Architecture + Women NZ Diversity and Inclusion panel which included three D&I champions form the corporate sector: Russell Windsor, Felicity Evans and Kirstin Te Wao. Our panellists shared insights on their learnings and some of the D&I initiatives they have implemented in their work places. It was a great session, with lots of humour and robust discussion for the audience. While there is more work to be done on measuring broader diversity issues within the profession, the statistics on the gender balance in architecture don't make for great reading. Just 19% of registered architects are women and the proportion of females in senior positions are below 10%. This event was a timely forerunner to the launch of the diversity agenda, an initiative to increase when in both the architecture and engineering professions. Thanks to everyone who attended the panel event. Natasha joined Dowse director Courtney Johnston and architectural photographer Patrick Reynolds for a panel discussion on architecture and photography at the Dowse on the 18th February. The discussion was one of a number of events the gallery has hosted in response to their current exhibition Gavin Hipkins: The Domain. "Whether it’s a recent suburban development in Auckland, the beat-up facades of 1970s buildings on New Zealand university campuses, or Le Corbusier’s ‘radiant’ city Chandigarh, architecture appears as subject and symbol over and over in Gavin Hipkins’ photography and films." We kicked off the year with a shoot at our recently completed Twin Peaks House, for a special project due out later this year. Watch this space for more news. We have new digs at the bottom of Franklin Road! We've been working on the fit-out of M Studio for the last few months so it's great to finally move in and set up shop. 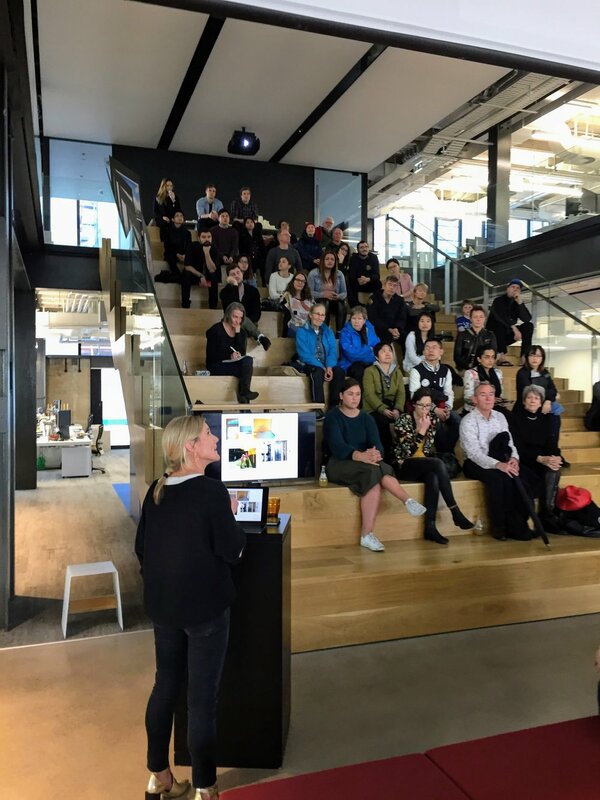 Here's Natasha talking about "what architects do" at the studio presentations, hosted by Warren and Mahoney as part of the NZIA - Auckland Branch Festival of Architecture. Five other practitioners also spoke about various aspects of their day to day work, followed by a Q&A session with the public. Natasha is delighted to be named as a finalist for the Wirihana Leadership Award, at the Architecture + Women Dulux Awards 2017. The A+W•NZ Awards are held every three years and seek “to highlight ‘bodies of work’, rather than single architectural objects, an area already so well served by the many excellent award programmes that already exist”. After 10 months on site our Twin Peaks project is nearing completion. The project included the restoration of the existing Edwardian villa and a contemporary double gabled addition to the rear. Here’s a sneak peak of some of the finishing details. The Langs kitchen fronted a piece on The Kiwi Kitchen in April’s edition of Houses NZ magazine. In the article, Natasha talks about flexibility and the need for the kitchen to be considered in the context of the home and the client’s lifestyle. You can view the web version of the story here.